The following is a guest post by Donna Moores. Donna is a successful blogger and CMO at Handmade Writings. She has gained an outstanding marketing experience within the biggest industries and businesses, which she pleasantly shares with the readers. Despite the rise of social media marketing and its broad reach in the past few years, email marketing still retains its strong position and is one of the tools utilized by companies to promote their goods and services. No matter if you operate a B2B or a B2C company, however, in order to have a successful campaign you need original and catchy e-mails that can drive user action and result in more leads and higher revenue. 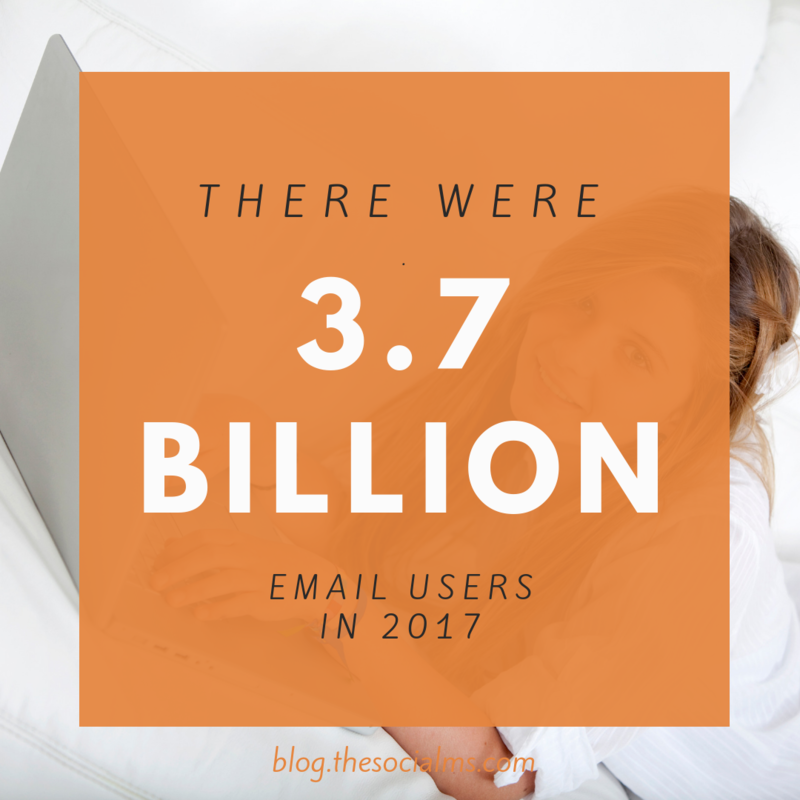 According to a recent study, global email users reached 3.7 billion in 2017 and the number is expected to grow to 4.3 billion in 2022. This reveals the great potential e-mail marketing campaigns can have given the fact that the marketers are able to come out with a copy that will grab the attention of the user and cause the desired action. One of the ways to do that is to seek an advice from experienced writers. Email copy that drives the desired user action should incorporate certain features that will lead to click-throughs and conversions. Here are some of the best tips that give instructions on how to structure the promotional email so that it achieves its goal. It is also essential to know which are the most successful promotional email types that you can use in your campaigns. A concise subject line generally leads to higher open rates. Try to keep it short, simple but catchy so that it grabs the attention of the receiver and sparks curiosity and the desire to find out more. Short subject lines play an important technical role as well. Keep in mind that desktops, tablets, and smartphones display e-mails differently. Your aim is to communicate the most important information in the subject line and if possible in its beginning so that you are sure that your message will be seen regardless of the screen the reader uses. A good trick, especially if you already have an established relationship with your customers, is to include your brand name in the subject line. This will evoke positive emotions and boost open rates. One of the ways to grab the attention is by asking a question in the subject line of your promotional e-mail. This will urge the user to open it and find the answer. Implying urgency is also a useful trick for a subject line – users will be tempted to open the e-mail in order not to miss a good deal. 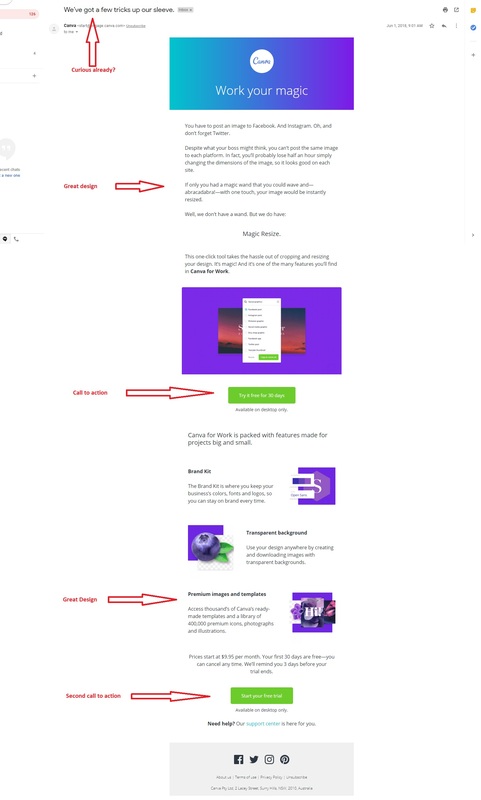 In order to get your e-mail not only opened but also read, you need to list the benefits of the product that the user will experience. The features of a certain product may grab the interest of the user but it is the benefits it has that sell it. Present the good/service you are promoting in the context of your subscriber’s needs and everyday life and point out how it will improve them. Good email design is of paramount importance if you want to grab the interest of the readers but at the same time avoid distracting them from the main point of your content. You should be smart and careful when using capital letters or bolded text and you need to choose your color combinations carefully as color is one of the main elements that help people judge a given brand or product. Your design needs to support the content and it is good to use engaging photos, well-structured points and a clear call to action. Make sure that social media icons are placed at the end of the copy, otherwise, the readers may click on them prior to taking the desired action. If you want conversion rates you need a clear call to action that urges the user to click on the button and get the item you are offering. 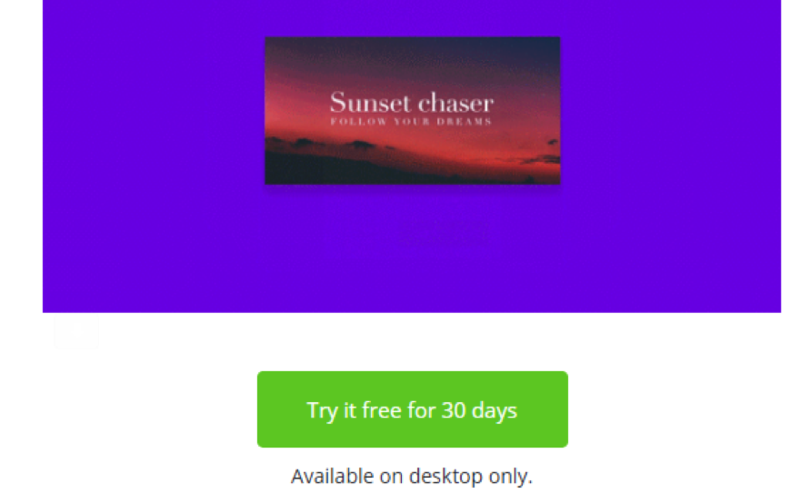 The generic “click here” has a much lower conversion rate than a benefit-centered call to action that clearly shows the advantage of taking an action now. A message like “Click and save 20% now” is much more likely to get higher click-through rates. It is important to make your call to action buttons clearly visible and links easy to follow so that the user can easily complete the action. Once you have mastered the ability to create an engaging copy, it is also important to pay attention to the type of promotional emails that will drive higher rates of user action. 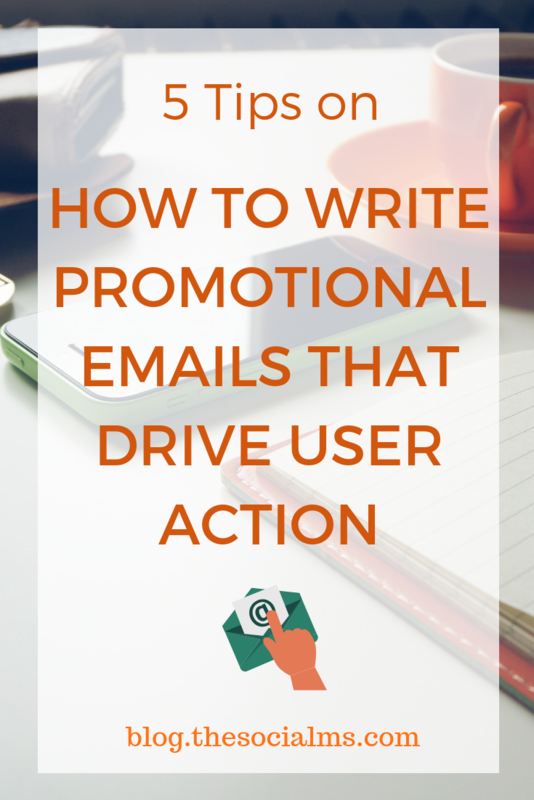 Quite often you can combine some or even all of these types into one great promotional email that will drive positive user action. 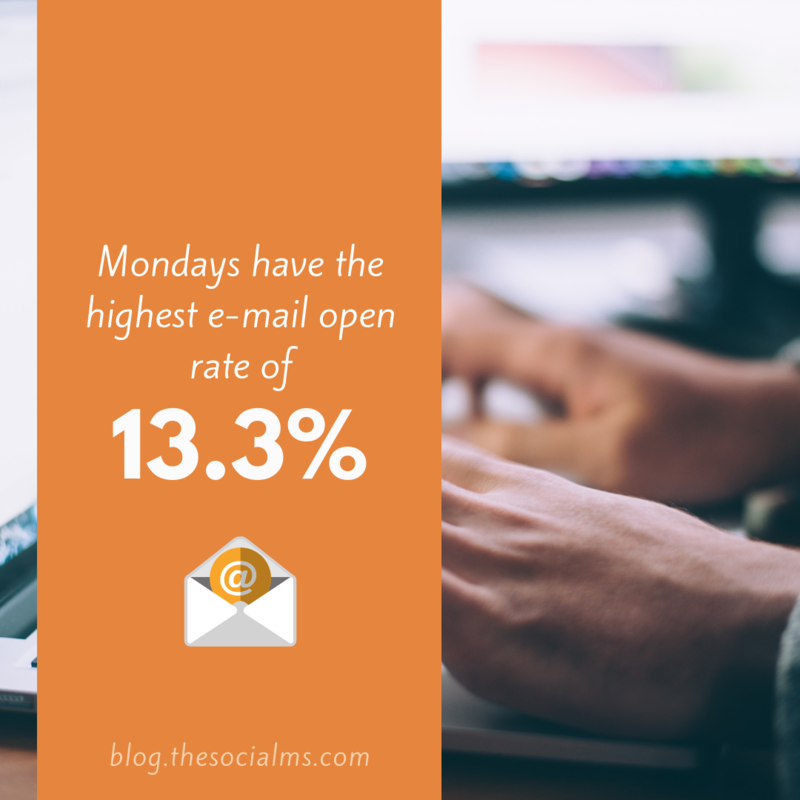 Bonus Tip: According to 2017 Marketing Statistics you should send your promotional emails on Monday as Mondays have the highest email open rate of 13.3%, while Fridays are at the end of the line with 11.9%. Build your e-mail marketing strategy so that it incorporates these simple tips and tricks. This will help you create successful promotional emails that will deliver tangible results and facilitate your business growth.